Vice President Yemi Osinbajo says the Administration would in the next few years continue to actively pursue massive manufacturing and productions of goods, stressing that the federal government will ally with investors who can facilitate the plan. The Vice President was speaking at a meeting with a local motor manufacturing company and Chinese Investors. President Muhammedy Buhari has expressed confidence in the ability of Nigeria to surmount her economic challenges given the abundant human and material resources bestowed on the country by God. Speaking in an audience with President of the African Development Bank, Dr. Akinwumi Adesina, the President was emphatic that the nation will bounce back for a greater future. The Independent National Electoral Commission has described as untrue that its Acting Director Legal Services demanded a bribe of one million dollars to enforce a court order regarding a factional PDP candidate in Ondo State. 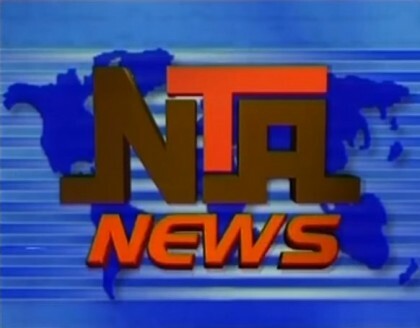 The five-day annual NTA Expo fair began this Monday at the premises of the NTA Headquarters, Garki, Abuja. The event has as its theme, “Improved Technology: an impetus for mechanized agriculture, renewable energy and economic development”. The programme is featuring contestants for both Junior and Senior categories. Vice President Yemi Osinbajo has restated commitment of the Federal Government in strengthening anti corruption reforms for the much- needed integrity and Justice in governance. This formed part of issues raised at a retreat by Kaduna State government in partnership with Global Initiative against corruption in Kaduna. Minister of Transportation Chibuike Amaechi sys the Federal Government remains committed to improving the infrastructure in the transportation sector to diversify the nation’s economy. He stated this at an International transportation conference in Abuja. Forum of Non-Governmental Organizations wants Judges and Justices involved in the recent corruption allegation to step down from office until they clear themselves. At a press Conference, the Forum noted that even though the arrested Judges and Justices have not been declared guilty, their image appears to be tainted in the eye of the public. Herdsmen have been warned against grazing Livestock in farmlands especially as farmers are in the process of harvesting crops. This is coming as the Miyetti Allah Cattle Breeders Association condemned alleged armed men attack in Jama’a Council Area of Kaduna State. Nigeria has joined the global community in commemorating the 2016 world polio day. Stakeholders said effective surveillance as well as sufficient financial and technical support from government and donor agencies, is key in keeping the tempo in the fight against polio virus in Nigeria especially in the north eastern parts of the country. This was at the world press conference by the national primary health care development agency. Chairman Abuja Municipal Area Council, Abdullahi Adamu Candido has stressed that it is in the constitutional mandate of local governments to collect tenement rate. He stated this during a press briefing to express the council’s position on the legality and power of AMAC to collect tenement rates within areas under the purview of the council. Nigerians have been spending millions of dollars on medical treatment due to inadequate health infrastructure in the country especially when it comes to heart related diseases. however, the tide is about to change as private hospitals in the country brace up to reverse the status quo and provide world class health care service, and one of them in Abuja has continued to record 100 per cent success in open heart surgeries. The Buhari friends organization network has commended president Muhammadu Buhari’s anti-corruption crusade and advocates the establishment of a special court to try corrupt public officials. the national coordinator, Athanasius Okon expressed the views at the organization forty seven general assembly cautioning those described as gullible persons and the opposition parties against misrepresenting statements of wife of the president, Aisha Buhari. The progressives governors’ forum has appealed to Nigerians to show more understanding, support and cooperation as the Buhari administration strives towards meeting genuine national aspirations for better and prosperous Nigeria. The APC governors also used the forum to congratulate the president for the bumper harvest being witnessed this year as well as the release of 21 abducted Chibok school girls. In order to halt the growing cases of breast cancer in Nigeria, the involvement of youths, particularly young girls in awareness campaigns and promotion of voluntary testing has been advocated. Towards achieving this, a group of young ladies working in collaboration with optimal cancer care foundation carried out an awareness exercise in Abuja. Deputy Senate President, Ike Ekweremadu has called for parliamentary partnership between Nigeria and the United States through staff development and exchange programme. The deputy senate president was speaking when he received representatives of the US National Democratic Institute in Abuja on Monday. Director general, Nigerian television authority, Yakubu Ibn Mohammed has promised to give the national commission for refugees, migrants and internally displaced persons all necessary support to actualize its mandate of returning displaced persons to their respective homes. This was at a visit on synergy between the two agencies. A team of Egyptians led by Mr. Maguid Younes, have indicated major investment interests in Nigerian sports and pharmaceuticals. The Egyptian businessmen are being wooed to Nigerian by a local counterpart, Pat Oramah, who was present in Nairobi, Kenya where the Egyptian investors commissioned a sports club recently. Younes’s team said they have made findings and are convinced that the sports club which is of world class standard with state of the art facilities if built in Nigeria will not only groom world class athletes from Nigeria but will create jobs and contribute significantly to the nation’s economy. Railway Corporation Begins Transportation of Cattle From Gombe To South-East. Meanwhile, it is good news for livestock farmers in Gombe state as the Nigerian railway corporation begins transportation of livestock from Gombe station to the south-east. The Miner’s association of Nigeria,MAN) has called for strict regulation of mining activities in the country so as to shut out illegal miners . The president of the association, Sani Shehu made the call at the news agency of Nigeria, NAN forum in Abuja. He defined illegal mining as anything that is outside the provisions of the mining and mineral act and not limited to labourers that dig with diggers and shovels. Vice president Yemi Osinbajo says the federal government is promoting workable policies in critical sectors to actualize diversification for development. It was at the commencement of the meeting of the national council on industry, trade and investment, in Abeokuta.